The Best Drawing Youtube Channels from thousands of top Drawing Youtube Channels in our index using search and social metrics. Data will be refreshed once a week. About Youtuber How-to-Draw Videos on Every Conceivable Subject! Mark Crilley is a published author/illustrator of Brody's Ghost and Miki Falls, as well as Akiko and Billy Clikk. Follow this channel to learn how to draw and sketch. About Youtuber Hello! I am a 23 year old self-taught illustrator specializing in photorealistic colored pencil and graphite drawings. About Youtuber High-level 3D drawing and painting tutorials by "the Italian magician of the 3D Art" specializing in trick art, hyperrealism, mixed media. A new how-to-draw video every Thursday! Follow this channel to get videos on how to draw in 3-D.
About Youtuber Drawing and painting is good! Drawing and Painting Channel. 3 Dimensional Art. 3D trick art. Anamorphic Illusions. Optical illusions. Portrait drawing. How to drawing. How to do painting. Speed drawing. Speed painting. Watercolour painting. Follow this channel to learn drawing tricks and tips. About Youtuber Access our HUGE selection of step by step drawing tutorials for young artists and beginners. Draw your favourite characters from movies, Pokemon, Disney, Marvel, Video Games, Cartoon Network and much more. New art lessons posted daily 7 days a week. Follow this channel to get step by step drawing tutorials. About Youtuber Learn to draw with Circle Line Art School. Please subscribe to watch a new art tutorial every week. There are now over 195 free How to Draw art videos on Circle Line Art School. Hi, my name is Tom McPherson and I founded Circle Line Art School as an online art education resource for all. My aim is to inspire people to learn to draw and be more creative. Follow this channel to learn drawing and be creative. About Youtuber How to draw, tutorials, guides, fan art, and vlogging channel. focus on uploading speed art regularly, featuring video games, characters, concept art, fine art, movies, celebrities and YouTuber portraits. I'm aiming to also start uploading guides and tutorials, to help teach people how to draw. Follow this channel to get regular videos on drawing tips and ideas. About Youtuber Drawing, painting, and digital art tutorials on a variety of subjects and media by artist and teacher, Matt Fussell. I believe that drawing and painting are skills that can be learned by anyone. It doesn't require talent - just passion, knowledge, and practice. Follow this channel and learn how to draw and paint! About Youtuber Hi, I love making friends ! I like to make videos . I upload all drawing videos. Follow this channel and get drawing videos regularly. About Youtuber Shoo Rayneris the award winning author and illustrator of over 200 children's books published worldwide by major publishers. Shoo is also a publisher, follow his stories and publishing exploits and learn about illustration, how to make books and how to tell stories. Follow Shoo as he visits schools, libraries and festivals around the British Isles and the world. About Youtuber Hey, my name is Rob. We upload new art lessons M-F, every week! Follow along with us and learn how to draw plus other fun art lessons for kids. I have four kids, and we love drawing together! About Youtuber Hi there! My name is Wennie and I love to draw and craft, CUTE things of course! =) Follow along with me to learn how to draw and make things CUTE and EASY! Watch for fun pop ups too. Follow this channel as you will learn to draw and create new things while having fun too. About Youtuber Draw Kids Draw is a Drawing Channel For Kids. Follow this channel and learn how to draw popular cartoon characters and other fun things! About Youtuber In this channel tutorials, you can see how to draw step by step perfectly. Alternatively in this tutorial shown coloring techniques. So, all ages people learn how to paint very easily. Follow this channel and get new drawing video every day. About Youtuber Draw, reimagine, new art challenges, top art videos, & art channel created by popular artist Mei Yu. Watch never-before-seen, hand draw art, new art challenge, fun art video, fun animation, creative art, design, unique painting, illustration, style challenge, amazing art work, new fashion design, re-imagine movie, show, game characters. About Youtuber Welcome to the Drawing Zone! How to draw - Learn to draw - Speed ​​drawing / painting - 3D Illusion - Portrait drawing - Tutorial I hope you will appreciate my videos! About Youtuber I make all kinds of videos related to art, like speedpaints, hauls, product reviews, tutorials, and more. About Youtuber I'm a self-taught Manga artist, the author of "The Ocean of Secrets" Manga series. I have always wanted to do this, I was meant to do it, regardless of all the obstacles I've faced. I wanted to show the world that you can achieve your dreams with hard work and determination, I want to inspire you to do the same. About Youtuber I'm an Australian artist who enjoys drawing anime inspired art... with lots of blood! I make Creepypasta videos each week! Whether I'm narrating creepy horror stories or drawing your favourite manga characters, my goal is to make the most entertaining (and occasionally informative) videos I can! About Youtuber Art for Kids and Family Fun - How to Draw and Paint! If you’ve ever wanted to learn to draw, paint, sketch, or just have some fun with drawing, then the How to Draw and Paint channel is for you! Featuring hundreds of fun, easy, step-by-step, how-to, super simple video lessons that are perfect for all ages, we’ll show you everything you need to know. About Youtuber Let me show you how to draw anything the easy way. Full step by step drawing demonstrations with graphite pencils. And I do 3D modeling as well. But that is not as fun as drawing. About Youtuber Hiya! My name is Kasey and I mostly focus on watercolor illustrations, but sometimes I like to sew! I upload three times a week! Wowwie! About Youtuber Learn to draw in minutes the Muffalo Potato way! Grab your crayons, markers, pencils, or pens and follow along with John as he teaches you how to draw a wide variety of cartoons by using only numbers and letters. About Youtuber Hi There! Thanks for visiting our YouTube channel. We post new video every day! We share fun easy step by step drawing lessons, drawing previews and animations and sometime one-one gameplay. Learn how to draw your favorite characters from movies or videogames. About Youtuber I see you stumble upon my channel so let me explain about my channel . Draw My Life is a channel where I draw life story of your favorite fictional character like Batman, Superman life story of Your favorite youtuber and story of Celebrities . About Youtuber Learn to draw animals with these videos and the simple step-by-step instructions. About Youtuber Want to learn to draw and paint, but don't know where to start? This is the channel for you. I have taught art in schools and my own adult art classes for many years. With this vast amount of experience, I am now creating drawing and painting video tutorials to show students, teachers and children how to draw and paint. About Youtuber The Drawing Academy is an online Drawing Course and Art Community, where you can learn how to draw in the comfort of your home, and benefit from the support of Academy tutors and fellow students. About Youtuber Welcome to my channel ! My name is Neco and I am 20 years old. I really like to draw, it's a passion for a long time. I hope you enjoy watching my videos ! About Youtuber Welcome to How to Draw Stuff, the channel where you'll learn to draw everyday stuff the easy way. Our quick drawing tutorials on paper and digital media can get you started drawing very fast. Drawing doesn't have to be hard, join us on the journey to become a better all-round illustrator! About Youtuber Owner of Ellenstraties (illustrations commissioned) and Drawing Practice De Innerlijke Wereld, where I teach children and adults, workshops and birthday parties. About Youtuber Greetings. I'm Robert DeJesus. I'm drawing just about anything; in my own style. From everyday objects, cute animals, trending topics, video game characters, anime characters, portraits, and much more. Make requests in the video comments if you'd like me to try and draw it. About Youtuber My name is Ramny and I make YouTube drawing tutorials. On my channel I help young artists develop their drawing skills by showing them how to draw their favorite characters from movies, TV shows, cartoons, comic books, or video games! About Youtuber This channel was created to help me, a young artist, to improve along the road (with a little help from my viewers of course). About Youtuber I'm Kitty aka zooshii and I love to draw! Welcome to my drawing channel - if you love cartoons and drawing too, check out the wide range of 'How to Draw' tutorials on this channel. About Youtuber I'm a painter, speaker, writer and instructor with over 30 years of experience in drawing and painting. I teach professionally at some of the top art schools in Los Angeles (USA) including New Masters Academy, Art Mentors, Gnomon and Art Center. My work and writing have appeared in books and magazines published worldwide. About Youtuber This channel is all about, and only about drawing and it's materials. Most video's are filmed "one on one" and all are explainend to the detail. Should you want to start, or pick up your drawing, because you are allready good at it, this is your channel. About Youtuber Welcome to the DRAWING 4 KIDS channel for beginner artists. We started a second channel for our younger and beginner level artists. We teach young artists from around the world step by step instruction on how to draw their favourite characters. About Youtuber Skull drawings are great. They are fun and very exciting to do. Drawings of skulls are so great. I wanted to go at it from every angle. About Youtuber Hi kids here you will learn how to make beautiful drawing and how to paint it with markers and more Enjoy! About Youtuber In “Teach Drawing - Coloring for Kids” Channel you can watch the favourite Figures Famous and circumstances like Coloring Page, Coloring book, coloring, coloring page, Coloring for kids, Coloring for children, Coloring babies, Coloring toddlers, drawing, drawing anime, drawing goku, drawing luffy, drawing tutorial, drawing pencil, drawing hand, drawing 3D, drawing spiderman, drawing elsa, etc. About Youtuber How to draw fantasy art. Drawing fantasy art videos that inspire you to draw from your own imagination. Wayne Tully draws some video drawing inspirations and tries to show you how to draw stuff his way but really just to inspire any artist. About Youtuber This is my drawing channel aimed to teach children how to draw, build their confidence and inspire them 🙂 i love drawing and will draw almost anything such as Disney cartoons, Marvel, Video Games, Cartoon Network and much more. About Youtuber Welcome. on my channel to learn how to draw Dragon Ball Z characters. I will give you Tutorials and techniques for better drawings of DBZ and Dragon Ball Super. About Youtuber I am NOT a Certified Zentangle Teacher (CZT) and I am NOT teaching the official zentangle method of drawing patterns. What I am doing is helping those who are new to the tangle pattern community figure out the best way to learn to tangle if they are not able to find a CZT in their area. About Youtuber Hi.. This channel is all about How to Draw different things. About Youtuber Hi, i am Sudheerbattu, i love sketching, painting , cartoons and illustrations and i like to share my talent with the world. art is my passion. About Youtuber Hi there! My name is Thuy and I love to draw. I will show you how to draw cartoon people, manga and anime characters,... with pencil, pen and color markers... subscribe for some new videos on every week. About Youtuber Hey there! Thanks for visiting my YouTube channel. I post new videos every single day! I draw everything from Marvel, Disney, Minecraft, FNAF, Dragon Ball Z, Anime, Cartoon Network and much more. Follow for the dot and try the same, use pause if you need it. About Youtuber Hey everybody 🙂 .........Follow my journey as an Artist! About Youtuber Welcome to Super Simple Draw where we make drawing and coloring easy and fun! Whether you want to draw a cat, dinosaur or even a robot, we can teach you! Get out your paper, pencils, crayons, or markers and let's draw and color together! About Youtuber Hey there! Thanks for visiting my YouTube channel. I draw everything from movies, Disney, Marvel, Video Games, Anime, Cartoon Network and much more. About Youtuber Kids Drawing practice ( KDP ) is a tutorial for kids to learn drawing. This channel contain simple and easy drawing. Simple drawing is the step to all children's. Practice simple drawing to improve the skill. About Youtuber Hey there, and welcome to the JimBob Drawing Show where we draw cartoons and art just for fun. My name is Bobby Chiu and I'm Jim Bryson. We're 2 artists that met in art school and have been great friends ever since. We're always hanging out and doIn art so we figured let's record this stuff and put it on youtube. About Youtuber Hello, this channel "3D art drawing" (CARTOON ) was created by me, my name is Palash, to teach design for kids, drawing tutorials with cartoon characters etc ...How to draw, guides, tutorials, fan art, and blogging channel. New artwork video every week every day. Uploading fine art drawings and paintings, in a time-lapse (speed art) video. Also uploading "How to draw" videos. About Youtuber Kids friendly drawing is the channel for kids, children and adults to learn drawing and coloring step by step. In this channel, you can see variety of drawings like scenery drawing,animals drawing,birds drawing,cartoon drawing,pencil drawing etc. So, you can look for minimum of 4 videos regularly in a week. About Youtuber This channel is intended for kids and beginner artists. I will show how drawing is made easy step by step. With tutorials given here, your kid will learn to draw basic things easily and not in a boring way. Stay with me and make your kid a perfect artist. About Youtuber Learn how to draw and color with these easy step-by-step drawing tutorials made just for kids! Perfect for preschool and kindergarten children, 3 to 6 years old. Educational videos that help kids learn about shapes, colors, letters, and numbers in a fun and easy way! We post daily videos making easy drawings that include animals,plants, food, vehicles,toys, and other fun stuff that kids will love. About Youtuber Easy Drawing | Kids Drawing practice ( KDP ) is a tutorial for kids to learn drawing. This channel contain simple and easy drawing. Simple drawing is the step to all children's. Practice simple drawing to improve the skill. Easy Drawing. About Youtuber Penny is a Professional Artist & Certified Teacher whose forte is drawing. Penny loves sharing her knowledge with aspiring artists of all ages. She strives to inspire each student, and to instill in each, a personal repertoire of skills, confidence, and a functional artist’s intuition. Join Penny for a unique, non-traditional learning experience that's student focused and fun! About Youtuber Welcome to Drawing for kids BB. I draw, paint, draw and artistic artwork for kids and kids on Drawing for kids Channel via Youtube. Sometimes people search for my channel "Drawing for kids BB". Paint the paint, find out the color, color with the colored children's page with color, watercolor and acrylic paint! I feature original paint colors and drawings to inspire creativity! About Youtuber Hey, my name is A.h. We upload new art lessons M-F, every week! Follow along with us and learn how to draw plus other fun art lessons for kids. I like drawing and coloring.This is my passion and like draw for kids at my free time. About Youtuber How To Draw with Let's draw kids! Grab a marker or pencil and learn how to draw with us! You will find here lots instructions of how to draw movie characters, funny cartoons, animals, food and much, much more. We hope that you'll enjoy our work. About Youtuber Hi Guys This Is A Channel For Drawing Making Comic Strips And Fun. About Youtuber Easy to follow, free step-by-step instructions on how to draw animals, plants, and popular cartoon characters. Everyone can create great looking drawings! About Youtuber Learn How to Draw, Sketch, and Paint. Step by Step Drawing Tutorial Videos for Learning Drawing. Videos for Kids, Beginners to Experts. Learn Pencil Drawing, Color Paints, Realistic Drawing Arts. About Youtuber Hi i am 13 year old my name is SHARJEEL MUGHAL and this channel is for portraits for cartoon drawing and any other kind of drawings so i hope u will enjoy my channel. About Youtuber Draw Sea Animal | Kids Drawing practice ( KDP ) is a tutorial for kids to learn drawing. This channel contain simple and easy drawing. Simple drawing is the step to all children's. Practice simple drawing to improve the skill. Draw Sea Animal. About Youtuber Hi to you friend! My name is Leila, I'm 14 years old and drawing is my passion! About Youtuber Welcome to Simple way to Draw ! Here you will find easy step-by-step instructions on how to draw simple cartoons. Perfect for kids and beginners of all ages. About Youtuber Welcome to how to draw for kids tv: coloring book, coloring pages and drawing. About Youtuber Drawing, painting and colouring Peppa Pig, George Pig, Mummy Pig, Daddy Pig and all characters of the series for preschool kids. About Youtuber Welcome to my channel! I love to draw all kinds of cute and easy characters, and I have a lot of fun teaching kids how to draw. I like to draw all kinds of things and characters, from animals and food, to movies, television shows, and books. 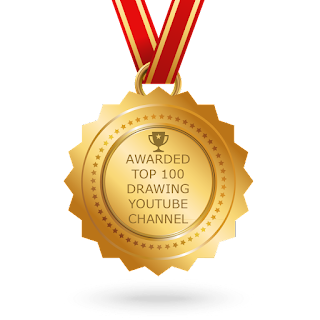 CONGRATULATIONS to every youtuber that has made this Top Drawing Youtube Channels list! This is the most comprehensive list of best Drawing Youtube Channels on the internet and I’m honoured to have you as part of this! I personally give you a high-five and want to thank you for your contribution to this world.